I’m pretty sure I got my love for snack food from my dad. My dad always stocks the fridge and pantry with chips and salsa, meat and cheese, or an assortment of nuts. Because there’s always room for a snack! 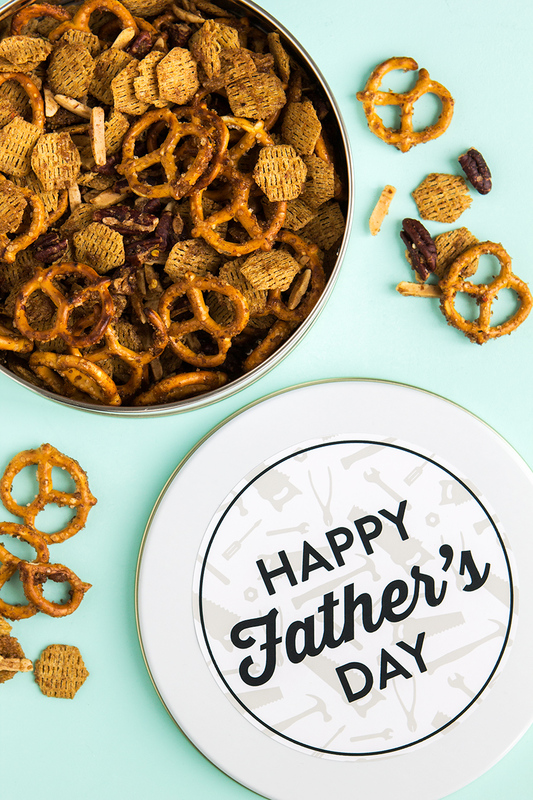 That’s why one of my favorite things to make him for Father’s Day is a delicious snack mix. 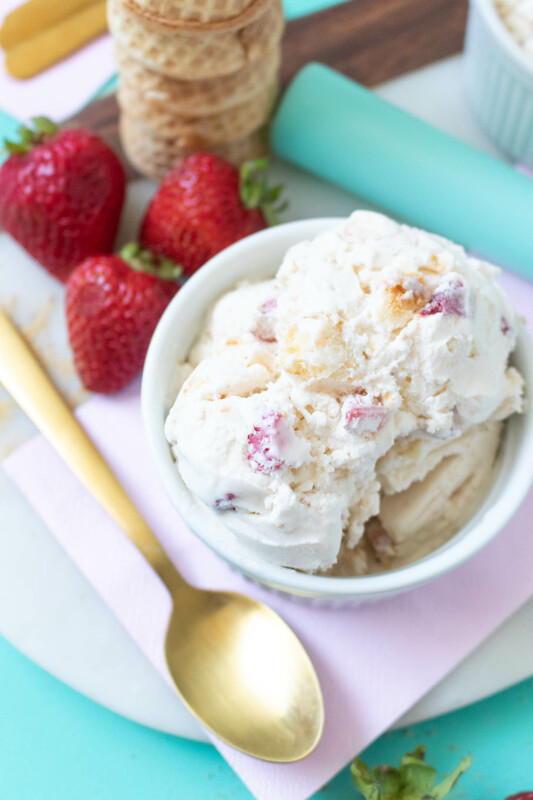 This sweet and spicy mix is so easy to make you’re going to want to make an extra batch to keep for yourself. 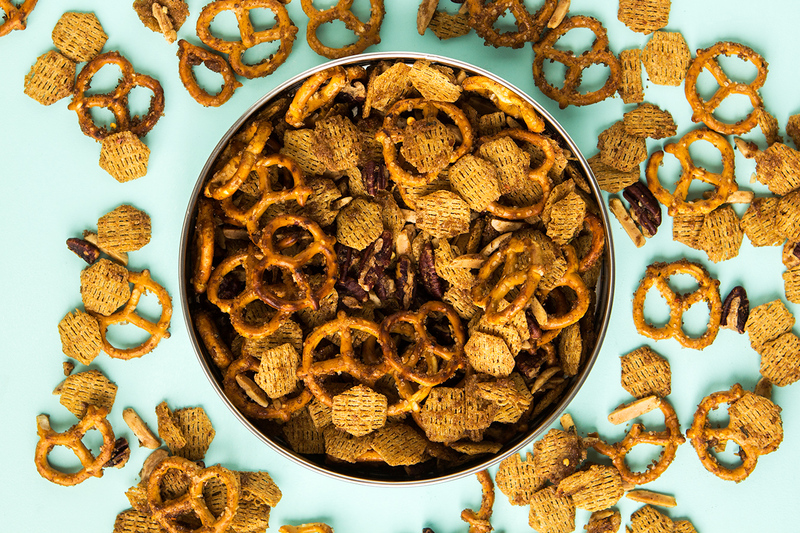 Watch the video and make a batch of this sweet and savory snack mix for all your favorite guys this Father’s Day! Preheat the oven to 350°. In a small bowl, combine the sugar, half of the thyme, salt, cinnamon, red pepper. Meanwhile, spread the almonds and pecans on a baking sheet and toast in the oven for about 10 minutes. Make sure to use a timer and watch them because nuts burn easily! Once toasted, combine the nuts and butter in a large bowl. Mix them until the butter melts completely. Then stir in the pretzels, rice squares, and syrup. Add the sugar mixture to the nut mixture. Spread the nut mixture back on the baking sheet and bake for 10 minutes, stirring the mix half way through baking. Take it out of the oven then add the remaining thyme. Cool completely. 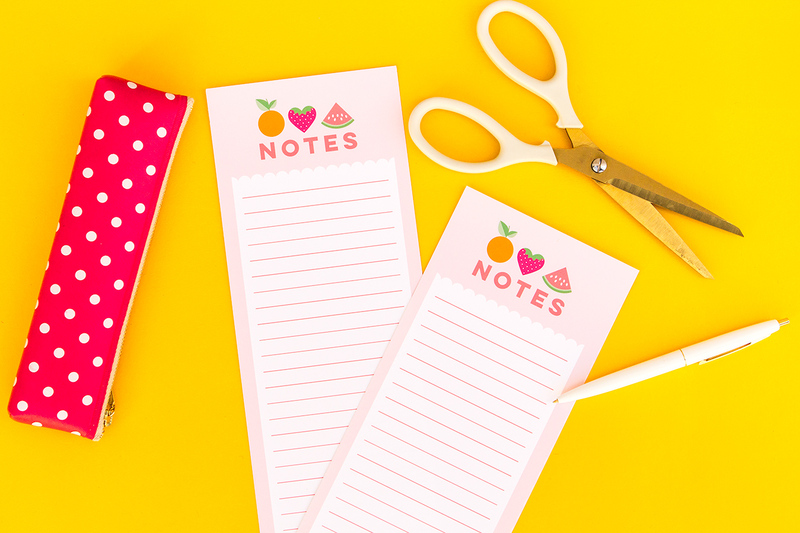 Download the printable Father’s Day labels, print them on adhesive paper, and cut them out. 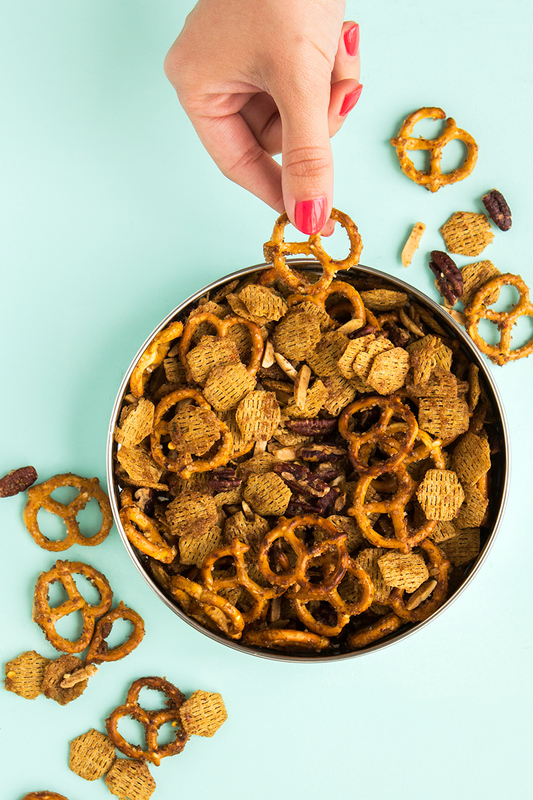 Peel and stick them on the lids of the metal tins and fill up with the snack mix. Now they are ready to gifted! 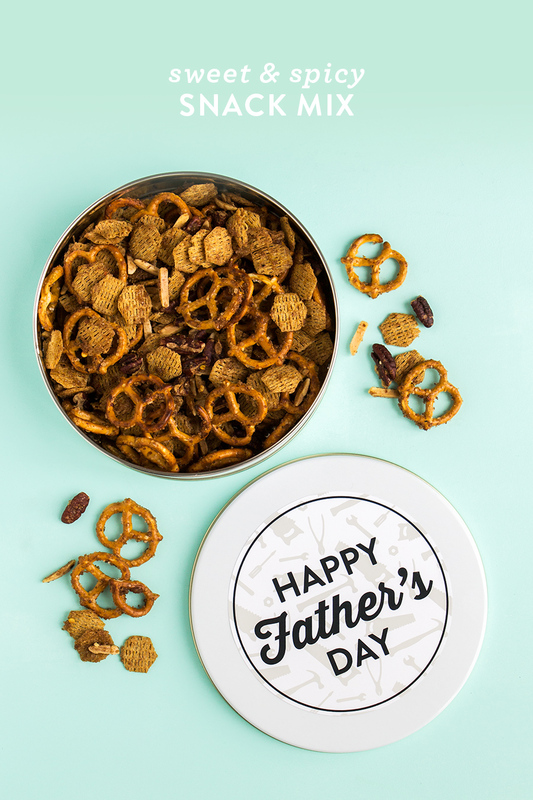 Find more ideas for dad on my Father’s Day page and on my Pinterest board.